If you want to grow your business in 2017 but don’t have a lot of money or time to spend on marketing, you’re in luck. 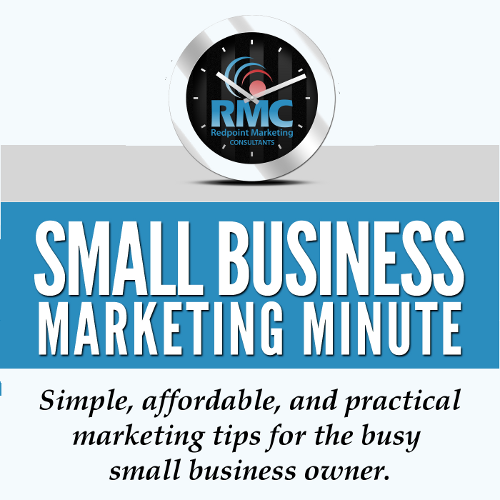 In my most recent episode of the Small Business Marketing Minute podcast, I give you five simple, affordable, and practical marketing ideas that will actually move the needle for you. Unless you seriously screw up the implementation of these ideas, they are just about guaranteed to result in more profits and customers for your business. None of them are earth-shattering or revolutionary concepts, but none-the-less most local businesses are not using them. This means that if you have the discipline to use any of these tactics consistently, you’ll probably be one or two steps ahead of your competitors. Collect enough ratings and reviews from customers to become the top-rated provider in your area. 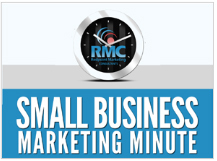 Send two emails a month to your entire email list–an email newsletter with mostly informative content, and an email blast promoting a special offer or deal. Send a direct mail postcard campaign once a month to your entire current and former customer list (or, if you can’t afford that, then a segment of your customer base). Start a print newsletter for your business and send it once a month to all your top customers, strategic partners, and leaders in your community and industry. Begin producing video content for your business on a regular basis and posting it to social media and on your website. For more information on why I’m recommending each of these tactics and how to go about implementing them, use the player below to listen to Episode 198 of my podcast. If you’d like to use any of these marketing tactics but would prefer to have someone else do all the work, check out my list of small budget marketing packages, all of which cost less than $500 a month and include all of the ideas mentioned above.